The other week I was in my local wig shop when I asked the owner if she recommended anything for dry, THIRSTY, human hair wigs. She immediately recommended a product called "Silicon Mix", which I purchased for less than $10. 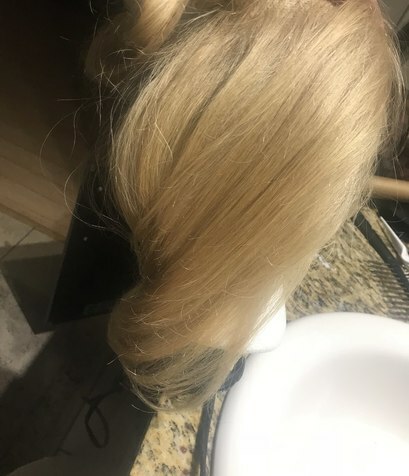 I used it as a deep conditioner on one of my human hair wigs and was shocked at how healthy the hair looked afterwards. Before styling, I diluted a couple tablespoons of my new favorite deep conditioner with water and misted the hair (as one would with a leave-in conditioner). I've started using Silicon Mix everytime I wash my human hair styles and it has really changed the game for me! Less flyaways, hair looks healthier and is easier to manage. There are tons of great conditioners for human hair wigs, Beautimark's Intensive Recovery Mask being another favorite. The Silicon Mix has been a pleasant surprise and it's a great addition to my arsenal of wig supplies! Silver linings and I guess, a new-found hobby? !